77 percent of Talent Acquisition leaders say that talent brand has a significant impact on their ability to hire great talent. 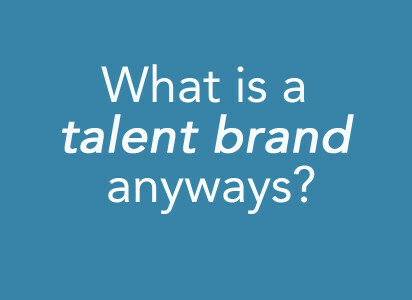 A strong talent brand reduces cost per hire by an average of 50 percent. 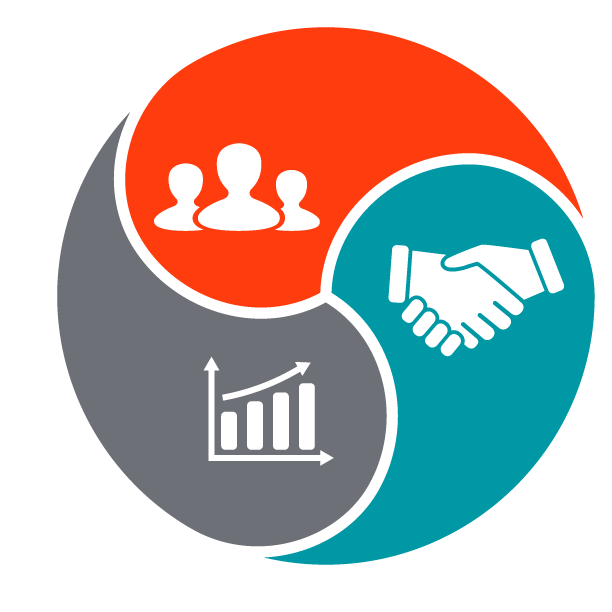 A strong talent brand lowers turnover rates by 28 percent. 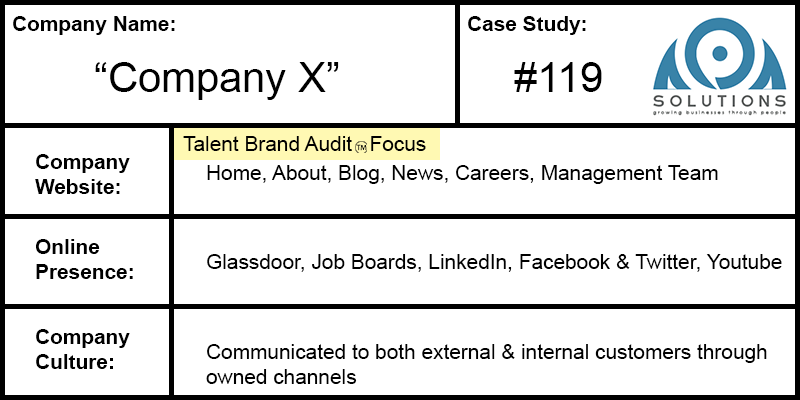 The group of executive level individuals from “Company X” recognized the importance of a talent brand, but had no idea how to begin to analyze their talent brand score through owned channels. Although the “Company X” team seemed prepared for their audit results, it was still a shock to learn just how poor they scored on our metrics. It became abundantly clear that they had focused so heavily on the external customer, that they almost completely forgot about their own internal customer. Now for the results from last weeks inside look into a small sample of our Talent Brand Audit system. Home page: The slider on the “Home” page is heavily client-focused. There’s no discernible information about the company culture, existing staff, or career opportunities on this page. As a first impression, it doesn’t cater to the “internal customer” (candidates and job seekers). Facebook & Twitter: No company Facebook or Twitter profile set up. Glassdoor: Incomplete profile and no reviews written. Youtube: No videos about “Company X” work environment company culture. There’s no company culture code or any indication about what it’s like to work for “Company X” (other than a list of employee benefits).